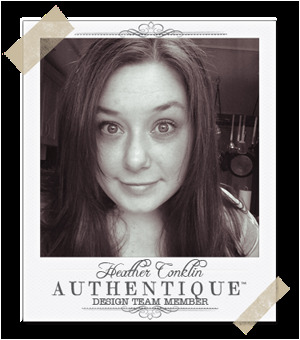 Hello, Heather here! It is starting to feel like Winter around here, and I am dreaming of just a little bit of snow my way. It is for this reason that I've been playing around so much with the fantastic new Solitude Collection. 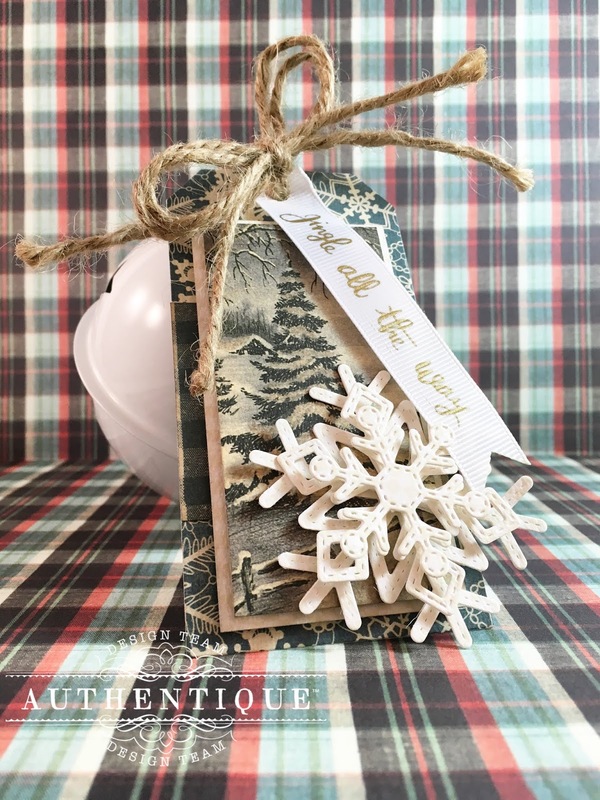 I love the comforting plaids, muted tones, and nature-filled patterns of every piece. 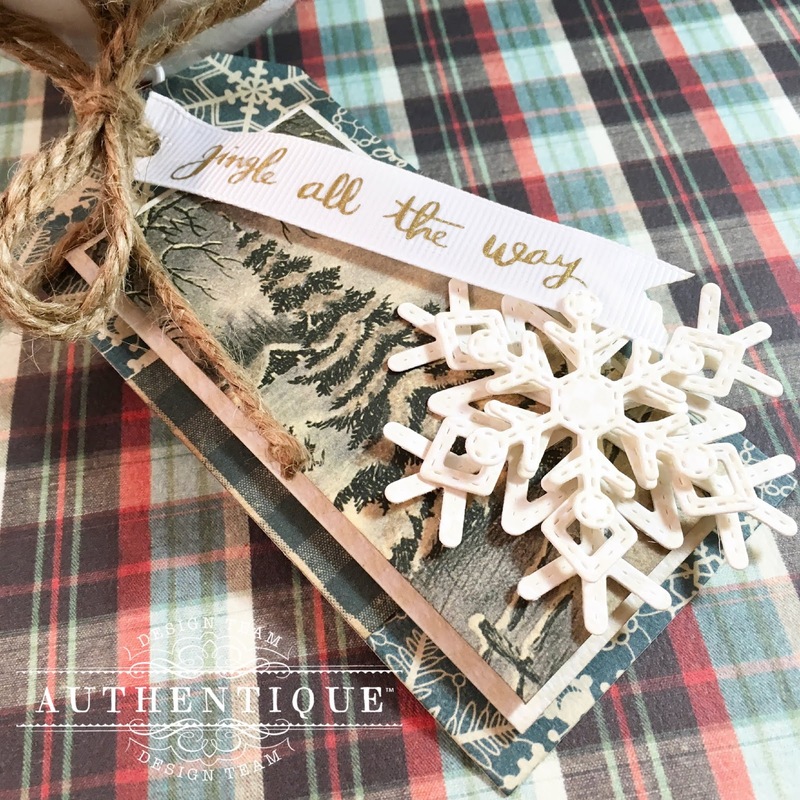 To create today's projects, I started with a great layered card and a decorative jingle bell. 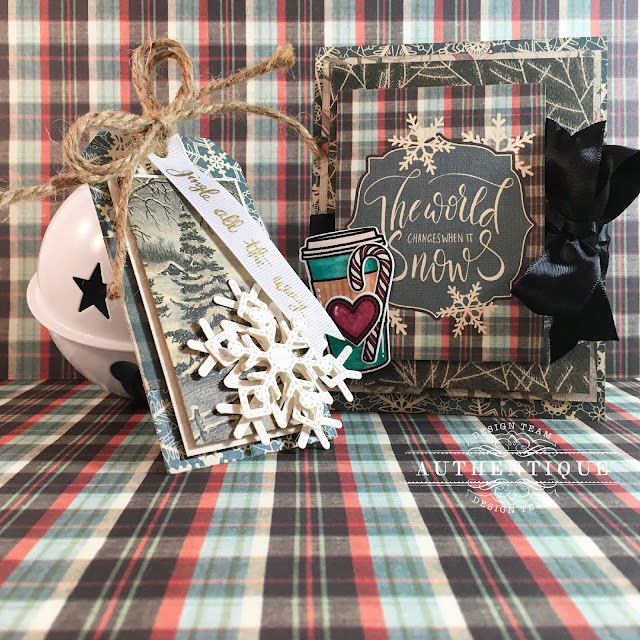 I have been loving the Target Dollar Spot lately as there have been some great alterable and decorative items that are great for crafting with. This bell was a few dollars, and just needed a great tag to make this a wonderful decor piece. The ribbon and twine came with the bell, which was great since it already had a sentiment. The tag was cut with a Tags-Sizzix Framelits die set from my stash. I cut a few smaller rectangles from the Solitude Collection papers. 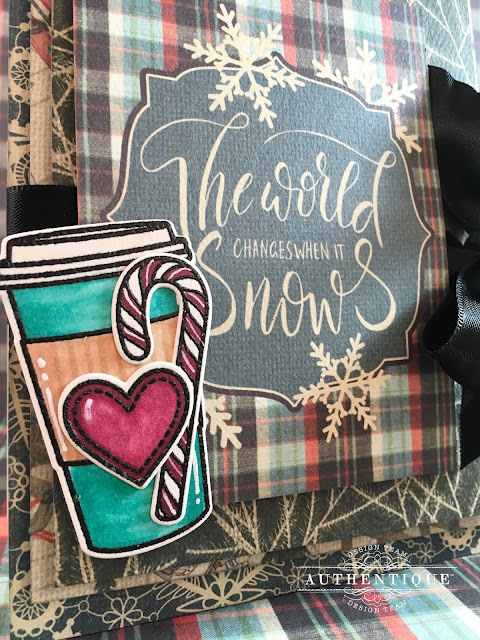 The snowflakes are Stitched Snowflakes-Lawn Fawn die cuts. I cut them from Spectrum Collection: Antique Lace, then stacked them with dimensional adhesive in between each snowflake. For the card, I used layers of the Solitude Collection. Instead of foam tape, I used craft foam to create a layered effect. Between the top layer and the next, I added in a satin ribbon. The stamped images were colored to mirror the colors and effects of the Solitude Collection. 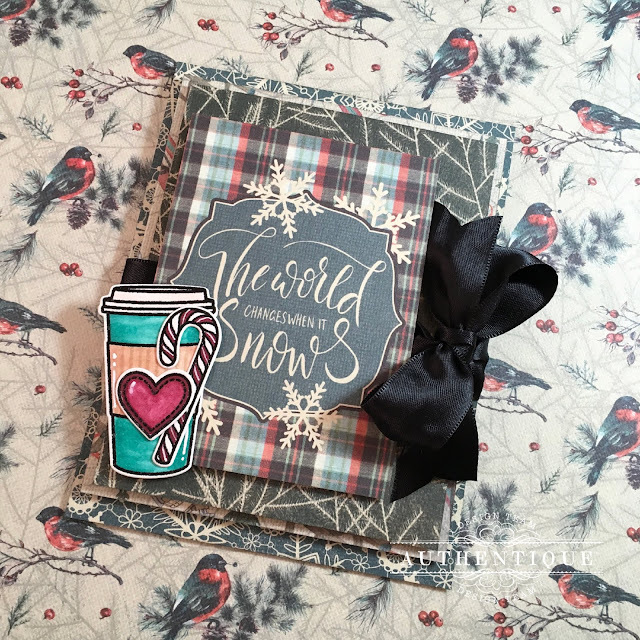 I used the Hug in a Mug stamps by Sunny Studios and the matching dies. Once they were colored, I die cut them and added just a little bit of white gel pen. Thanks for checking out today's projects! I hope to add just a little bit of warmth to today's cold weather.